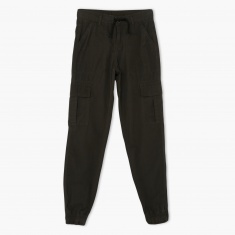 Every causal wardrobe needs a functional pair of cargo pants such as this. It comes in a dark shade and features elasticised cuffs. 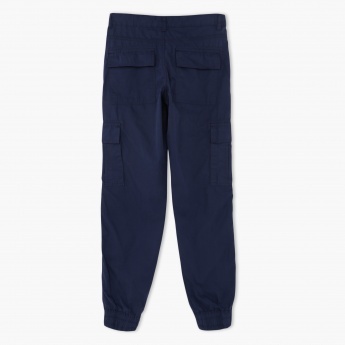 The multiple pockets allow your boy to keep his essentials handy. With button and drawstring closure, it ensures secure fastening.